Look everyone, there’s something we need to talk about. I’m starting to think it might be time for Arsenal to find a new manager. Arsene Wenger just isn’t the guy for the job. I’ve even come up with a cool hashtag for it, #WengerOut. No one has thought of this yet. It’s a real hot take – saying he needs to go – in fact I’m probably one of the only people saying it. Gooners probably have no reason whatsoever to be calling for the sacking of their manager. Right? Right???!! OK lets be honest. At the moment Arsenal is an easy target. They are a storied club, one of the richest in the world, with a track record of consistently high level of performance. Their manager is an icon in English football. 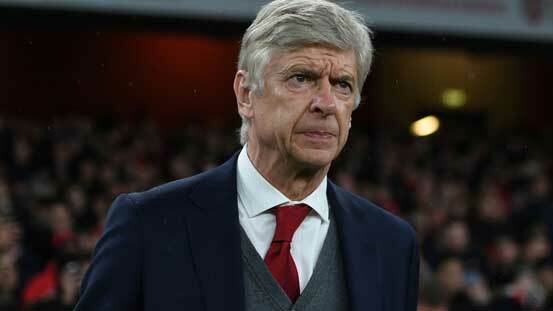 Arsene Wenger, despite all the stick, has been enormously successful for during his tenure. Sure Arsenal has failed to be as dominant as some fans would’ve hoped, but you cannot take their consistent good-to-great-ness for granted. Every year Arsenal make the top four. Every year Arsenal are around contention for a title. Every year Arsenal are in the Champions League Knockouts. That is, until they aren’t. Which is where we are now. Arsenal sit in 6th in the Premier League, and have just spent a few games getting drubbed by one of the best EPL teams ever, Manchester City (twice), then getting beaten at Brighton. All this after getting smoked at home by mighty Ostersunds of Sweden. They’re only 5 points after of Burnley in 7th (a seventh place finish would mean no distractions of European football for 2018/19), mathematically the loss to Brighton means they cannot win the league crown this season but that dream was dead a long long time ago. 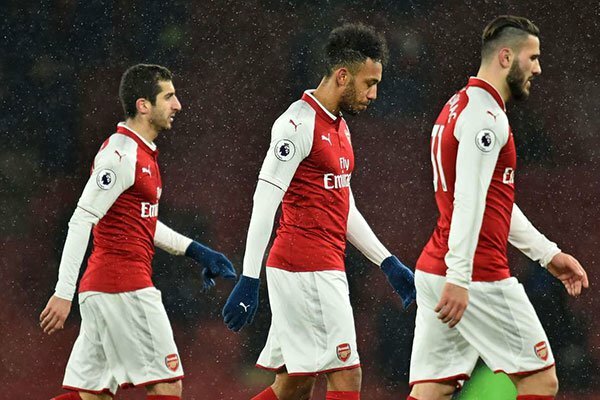 The 3-0 losses to Manchester City don’t quite do justice to how painful it was to watch the Gunners in those games and for most of the season. They were knocked out of the FA Cup 2 months ago by Nottingham Forest. They’re still alive in the Europa League, but are set for a difficult match-up with AC Milan. They swapped their best player, Alexis Sanchez, to a league rival in January for pennies on the dollar because they refused to do it in the summer. In terms of results, it’s not a stretch to say this is potentially the worst season they’ve had under Wenger. This brings us back to their embattled manager. The long string of 3rd and 4th place finished over the last decade started the #WengerOut train long ago, but he’s always survived. His string of one-year extensions continues. People on Arsenal Fan TV get more and more outraged. Lather, rinse, repeat. It’s a source of comedy for fans of other clubs and a cause of depression for long time Gooners. One of the writers at The Center Circle has flat out refused to write about them, because he has nothing left to say. Have we finally reached the crescendo though? Is this the point when Wenger is finally forced out, and the club moves on from a legend? Well, maybe. But I would argue it has very little to do with how dreadful the soccer looks each match. It has everything to do with Stan Kroenke. For those who are unfamiliar, Stan Kroenke is the mustachioed owner of Arsenal. He has a net worth of $8.1 Billion and made his fortune in Real Estate, then married the daughter of the founder of Wal-Mart. Just those facts alone make Stan notable, but what really applies here is his sports ownership. Stan doesn’t just own Arsenal, he owns majority stakes in the Los Angeles Rams of the NFL, the Denver Nuggets of the NBA, the Colorado Avalanche of the NHL, the Colorado Rapids of MLS, and the Colorado Mammoth of the NLL (Lacrosse). Stan is a professional sports owner at this point in his life. So he just love sports? No no, he loves money. And that explains the longevity of Arsene Wenger at Arsenal. It is no coincidence that Arsene Wenger’s reign coincides with Arsenal’s rise to one of the wealthiest soccer clubs in the world. Ranked 6th among soccer clubs according to Forbes, Arsenal prints money hand over fist. This is how Stan Kroenke franchises work. As long as the team is making money, Stan is happy. Changes come when the team fails to do that. The Los Angeles Rams are a great example. Kroenke moved the franchise from St Louis – where it had some of the lowest attendance in the league – to Los Angeles, one of the largest media markets in the US. This should’ve led to a financial windfall. There was only one problem. The team was coached by Jeff Fisher. Fisher never reached the same heights as Arsene Wenger, but boasted similar longevity in the NFL. He was the king of mediocrity; doing just enough to not get fired, but never enough to take his teams to the top of the pile in the league. With expectations high as the team moved to Los Angeles, fans and media alike expected the team to make a big splash in the new market. The Rams promptly fell flat, delivering a team that was not only bad, but also one of the most unwatchable in the league. The Rams became a laughing stock, attendance and ratings in LA were abysmal, and Jeff Fisher was fired. How does this apply to Arsene Wenger? Simple – when the team starts to lose money due to poor performance, aesthetics, or other factors under the managers control, that’s when Kroenke will make a change. Two decades of pseudo-title contention are great from a business perspective – you have consistent returns and constantly generate a profit. Plus you have the added bonus of Champions League revenues, and all the additional merchandise sales that come with it. That is no longer the case. According to Forbes, Arsenal is valued at $1.93 Billion. The club actually dropped in value by 4% from 2016 to 2017. Add in the effects of no Champions League revenue, and you now have even fewer profits. Selling the team’s best and maybe most popular player has made an impact on kit sales and merchandise revenue, though it was likely offset by the additions of Aubameyang and Mhkitaryan. Looming larger is Arsenal’s position in the table. Assuming they are unable to make up the distance between themselves and 5th, and are not able to win the Europa League, there are huge financial implications involved. No European play means a significant loss of revenue from broadcast rights, gate receipts, and potential winnings. It also means a loss in publicity for the club, and would hurt their global brand. In a pure business sense, that’s a significant failure. The value of the club would be likely to drop once again, and most of all, affect Stan Kroenke’s bottom-line. Arsene Wenger will not be fired because Arsenal is playing unappealing soccer. He will not be fired for losing EFL Cup Finals to Manchester City, he won’t be fired for their subsequent drubbing in the league, and he won’t be fired if they manage to finish in a Champions League spot, despite cries of fans for more success. He will only be fired if the performance of the team significantly affects their financial success. This season is trending that way, and could finally signal the end for one of the Premier League’s most iconic figures. I agree with you. Arsenal has a lot of potential to win the championship, and Wenger is not the man to help them win.